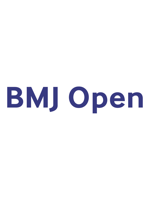 Citation is not yet available for this publication from BMJ Open. It will become available shortly after the publication appears. Objectives: Copeptin and high-sensitivity cardiac troponin (HS-cTn) assays improve the early detection of NSTEMI. Their sensitivities may however be reduced in very early presenters. Setting: We performed a post-hoc analysis of three prospective studies that included patients who presented to the Emergency Department for chest pain onset (CPO) of less than 6 hours. Participants: 449 patients were included, in whom 12% had NSTEMI. CPO occurred <2h from ED presentation in 160, between 2-4h in 143, and >4h in 146 patients. The prevalence of NSTEMI was similar in all groups (9%, 13% and 12%, respectively, p=0.281). Measures: Diagnostic performances of HS-cTn and copeptin at presentation were examined according to CPO. The discharge diagnosis was adjudicated by 2 experts, including cTnI. HS-cTn and copeptin were blindly measured. Results: Diagnostic accuracies of cTnI, cTnI+copeptin and HS-cTnT (but not HS-cTnT+copeptin) lower through CPO categories. For patients with CPO<2h, the choice of a threshold value of 14 ng/L for HS-cTnT resulted in 3 false negative (Sensitivity 80% [95%CI: 51-95]; specificity 85% [78-90]; 79% of correctly ruled-out patients) and that of 5 ng/L in 2 false negative ( Sensitivity 87% [59-98]; specificity 58% [50-66]; 52% of correctly ruled-out patients). The addition of copeptin to HS-cTnT induced a decrease of misclassified patients to 1 in patients with CPO<2h (Sensitivity 93% [66-100]; specificity 41% [33-50]). Conclusion: A single measurement of HS-cTn, alone or in combination with copeptin at admission, seems not safe enough for ruling out NSTEMI in very early presenters (with CPO<2h). Trial registrations: French Health Ministry (no. DC-2009-1052), French Local Ethic comity « Comité de Protection des Personnes Ile-de-France » III (Hôpital Cochin) et VI (CHU Pitié-Salpétrière).